De Blasio Revives Streetcar Plan For NYC Waterfront - Joe.My.God. 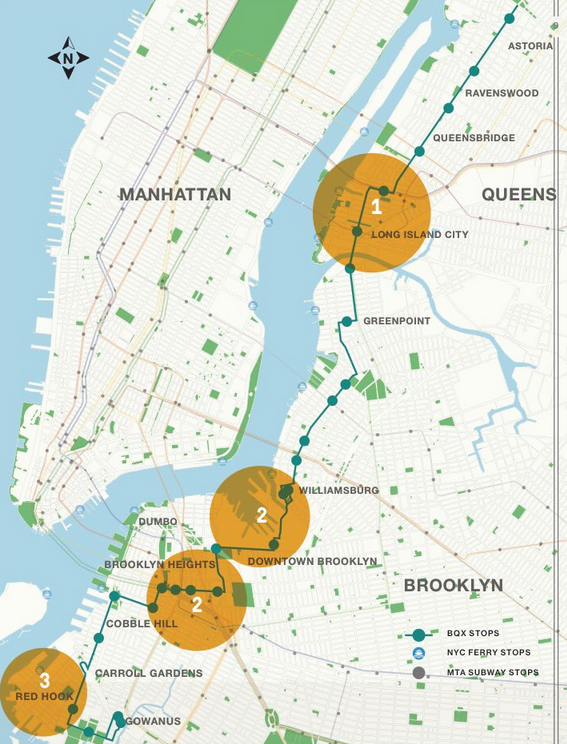 Mayor de Blasio is trying to jump-start his stalled streetcar with a new route and study. The city announced Thursday a route and environmental review for the Brooklyn-Queens Connector streetcar, a trolley known as the BQX that would run along the boroughs’ waterfront. The new BQX plan has been chopped down to an 11-mile route, down from the original 16 miles the mayor proposed. The route will no longer cover Sunset Park in Brooklyn — it’ll now run from Red Hook up to Astoria, Queens. Sunset Park was left out because of “low projected ridership and high estimated cost of construction,” according to the report. The real estate developer-hatched streetcar had appeared to be headed towards a boondoggle before any groundbreaking. De Blasio has backed away from the BQX’s main selling point — that it could pay for itself with new tax money. He now needs federal money from Republican-controlled Washington.